Quantum Mechanix has crafted a fun and affordable Q-Pop Figure featuring our favorite cat dressed vigilante. The Catwoman Q-Pop Figure is perfect for the fan of Catwoman looking for an adorable version of her to sit on their shelf or desk. 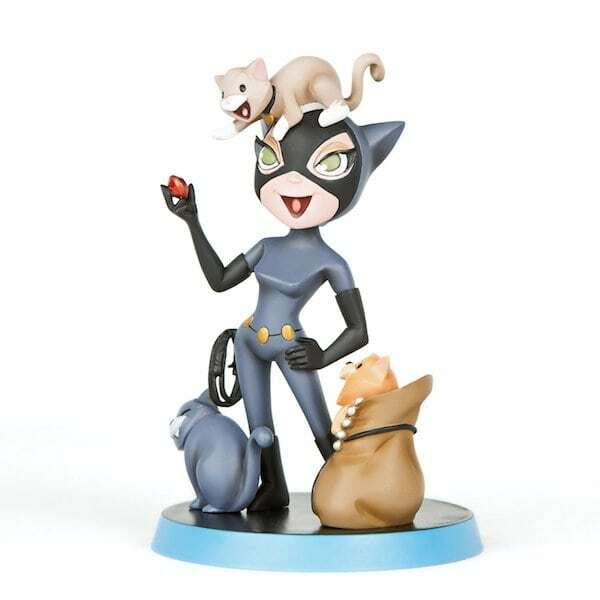 The PVC figure is 35 inches without the base and features Selina Kyle in costume and hanging out with three felines. The figure is just $19.99 on Amazon and makes a great gift, even if it’s for yourself.